Our soft tissue laser enables us to effectively treat gum disease while keeping a patient completely comfortable. 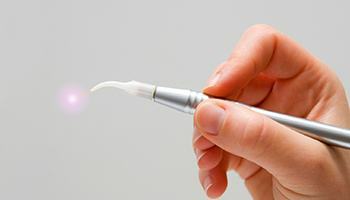 The laser’s highly-concentrated light is able to instantly vaporize plaque and bacteria located on the gum line as well as remove any infected tissue. And, it’s able to do this while sterilizing the area and not damaging the surrounding healthy tissue, reducing any pain or swelling during or after treatment.